Providing professional dental services to residence in Corona Del Mar, Newport Beach, Newport Coast, Irvine and surrounding areas. It's easy to scan the web and find before and after photographs of almost every procedure performed, infact our website like most dental websites came pre-loaded with before and after pictures of various dental procedures. Doctor Saliba considers it an honor to be able to feature pictures of actual cases he has performed. More documented cases are available in our office. This page will continue to grow and new cases added regularly. We ask you to excuse the quality of the images because they are not professionally taken or edited. They are actual photographs taken by Doctor Saliba shortly before and after the treatments. 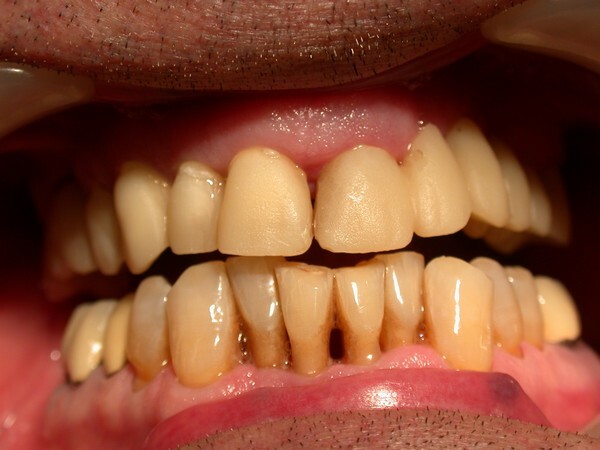 BEFORE: A young patient with a long history of extreme and ongoing grinding habbits which resulted in grinding his teeth down to an advanced stage. This affected his smile, caused him extreme sensitivity and affected his bite balance. 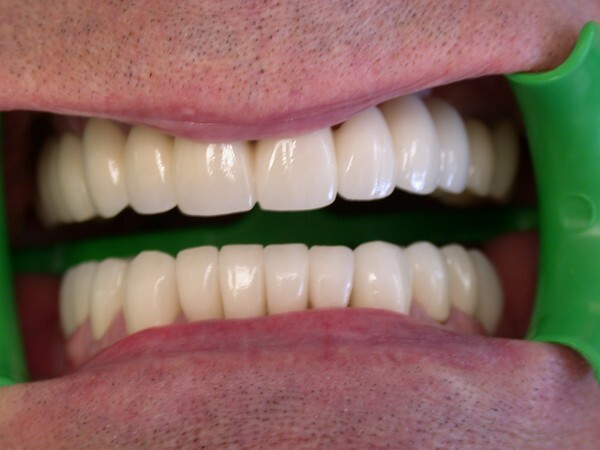 Patient was interested in enhancing the look of his smile, imporving the bite balance and eliminating the pain associated. AFTER: Using a study model in order to provide the patient with the best options available. Doctor Saliba's treatment plan included 1 gum graft, 1 implant and a total of 28 Zirconia crowns placed on the upper and lower arch, this full mouth reconstruction case was both challenging and rewarding, extreme detail and proper planning was taken into consideration due to the time sensitive requirements associated in balancing the bite and creating an overall harmony with the least amount of discomfort to the patient. The final results were life changing for this pleasant young man, he finds himself smiling often, it has increased his confidence level and most importantly all his discomforts are in the past. he now has the ability to enjoy a meal comfortably due to the proper alignment and bite balance is. The crowns were designed to fit properly around the gumline which is essential in decreasing the chance of decay. The patient was extremely satisfied with the new enhanced natural smile. BEFORE: Patient wanted to fix his two front teeth only #8 and #9, he had previous fillings, a chip and he was not happy with his smile. he wanted the final restoration to be a little lighter because he planned on bleaching his natural teeth in the future. AFTER: The teeth were prepared to create a strong anchor for the new crowns. 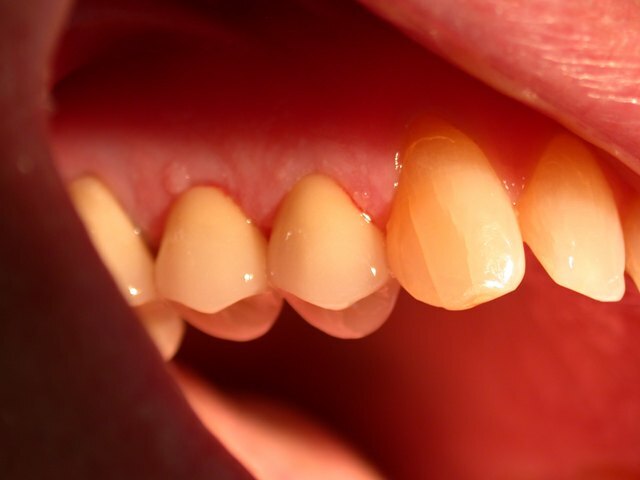 Since only two teeth were involved in this treatment, adjustment to size and shape was limited to the space available. Two Zirconia crowns were placed to create a natural smile, exactly what this patient was seeking. BEFORE: This is a work in progress full mouth reconstruction; the picture is only showing the upper anterior teeth recently completed. Patient had old veneers that have worn, discolored with bad margins causing gum damage, inflamation and decay to the tooth structure. 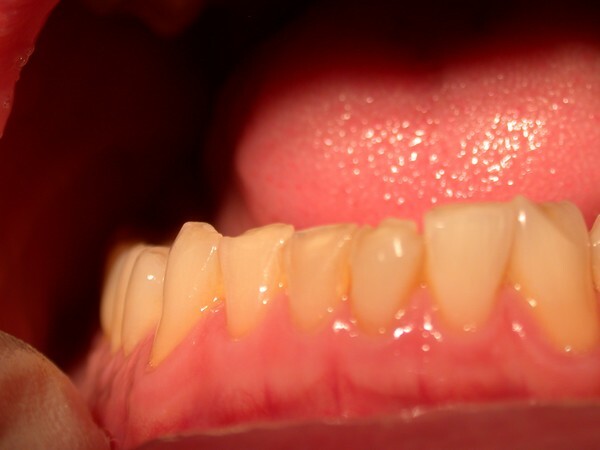 AFTER: The gums were treated first by periodontal scaling in order to have a healthy gum line. The old Veneers were removed, the decayed teeth were treated and the tooth structures rebuilt to create a strong anchor. 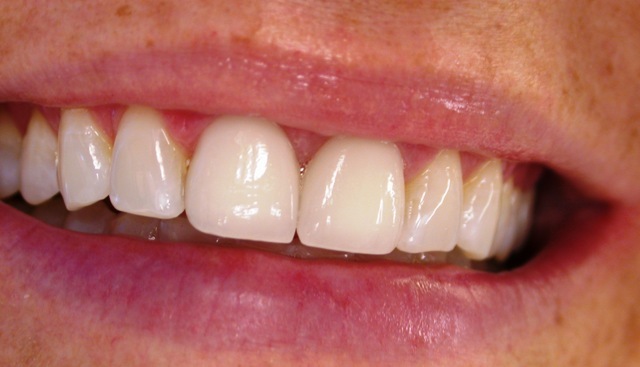 Six Zirconia crowns were placed instead of veneers. The new crowns have a perfect margin that meets the gumline properly to avoid any future decay, a healthy, beautiful and confident smile immerged. 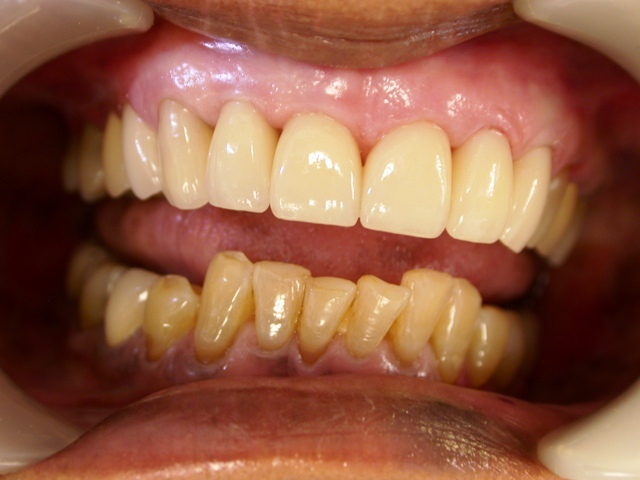 BEFORE: Patient had two amalgam fillings on the right side of their upper arch. The x-rays revealed decay and the patient was not comfortable when smiling, the darkness was very obvious and affected the patient's smile. AFTER: The Amalgam was removed, the decay removed and the teeth refilled using composite filling restorations which matched the natural tooth color and gently polished to a smooth surface. A simple procedure saved the teeth from further decay and provided the patient with more confidence to smile. BEFORE: Patient had two veneers on the front two teeth #8 and #9, the color did not match the patient's natural teeth and the shape was bulky, patient wanted a more natural look that properly matched. AFTER: Two Zirconia crowns were placed and aligned properly to create a uniform look in harmony with the rest of the teeth. 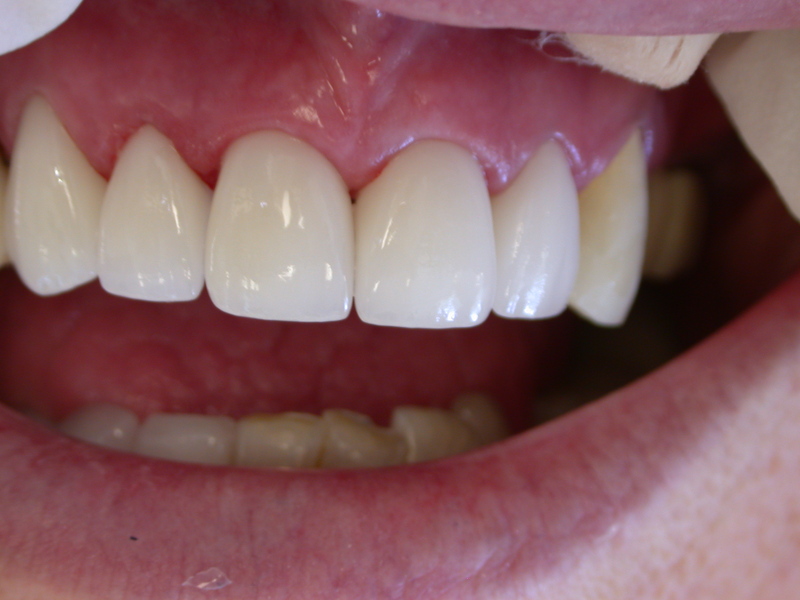 The color and shape matched perfectly allowing this patient to achieve a natural long lasting smile. 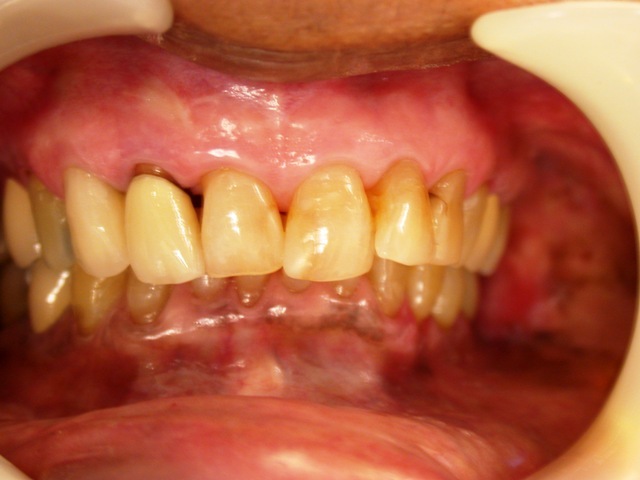 BEFORE: Patient's natural teeth on the upper arch had pre-existing resotrations and very large fillings, putting the teeth at risk of fracture. These restorations were old, the color, shape and alignment needed rehabilitation and the tooth structure needed protection. The front upper arch needed rehabilitation. 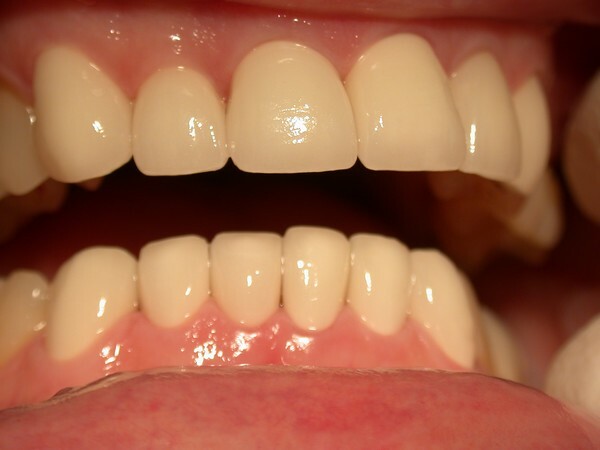 AFTER: A total of 6 Zirconia crowns were placed on the upper front arch, during the treatment process, better alignment and shade was achieved. The crowns were designed to fit properly around the gumline which is essential in decreasing the chance of decay. The teeth were protected decreasing the chance of fracture due to the large fillings and at the same time a smile was enhanced with proper alignment and a better shade. A beautiful, healthy, long lasting smile was achieved. BEFORE: Patient had a full upper arch bridge that fractured. 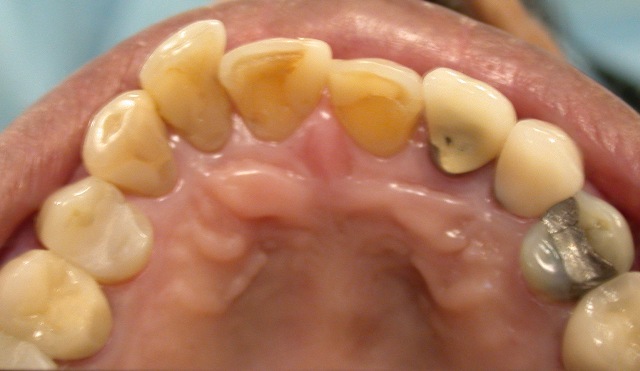 Poor shape, enamel color and poor margins (fit around the gumline) caused decay on the teeth under the bridge. 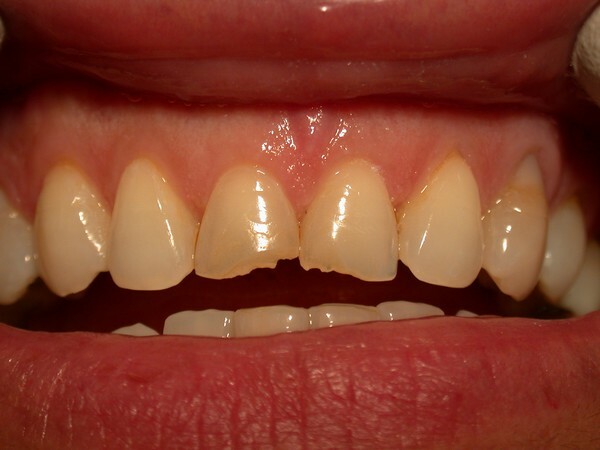 The lower arch had gum recession, decayed teeth, poor alignment and shape. AFTER: A full mouth reconstruction, The upper bridge was replaced with an all porcelain bridge. The lower arch was reconstructed with all porcelain crowns. 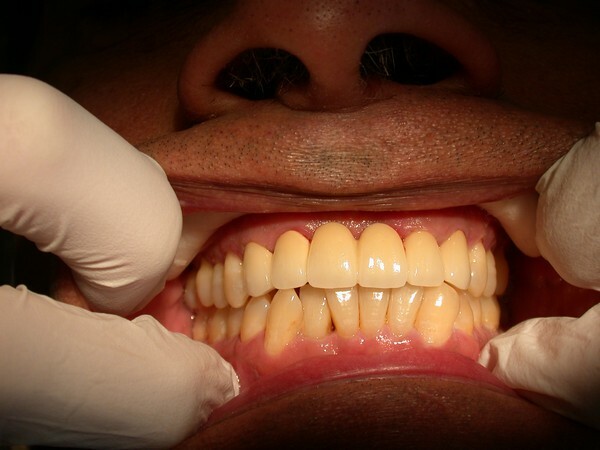 The shape and color enhanced the patient's smile. The crowns were designed to fit properly around the gumline. Proper fit is essential in decreasing the chance of decay. BEFORE: Patient needs upper and lower Arch rehabilitation. 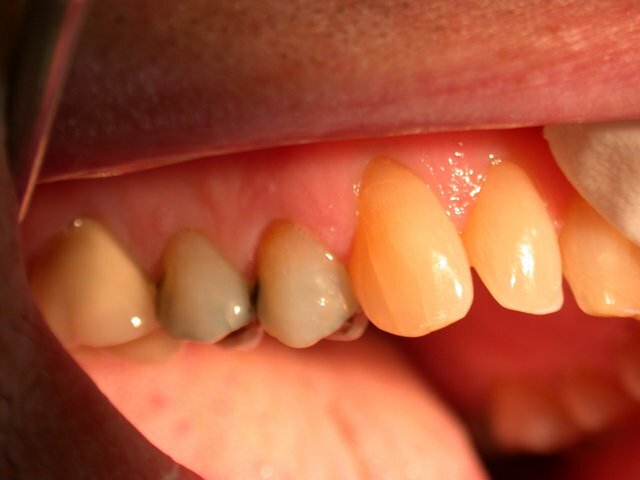 Upper and lower Anterior teeth are stained, incisal edges (tooth edge) are worn down and chipped. 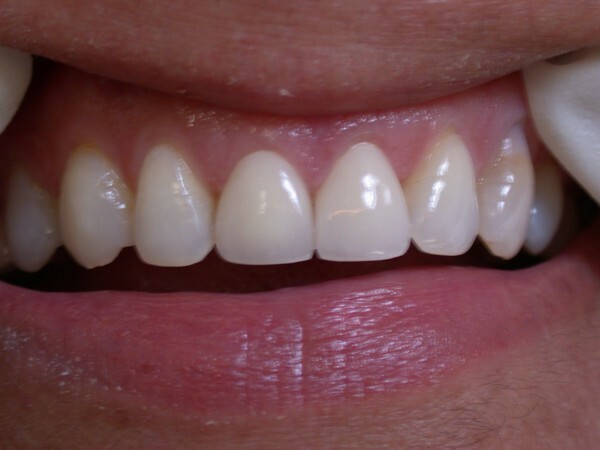 AFTER: Smile restored with placement of 6 Upper and 6 Lower All Zirconia Crowns (Caps). The incisal edges are now uniform, patient now has longer, better shaped and aligned teeth to enhance the smile line and aid in chewing/biting. Gum contouring above #8 was recommended but declined by the patient. BEFORE: Patient needs upper front Arch rehabilitation. 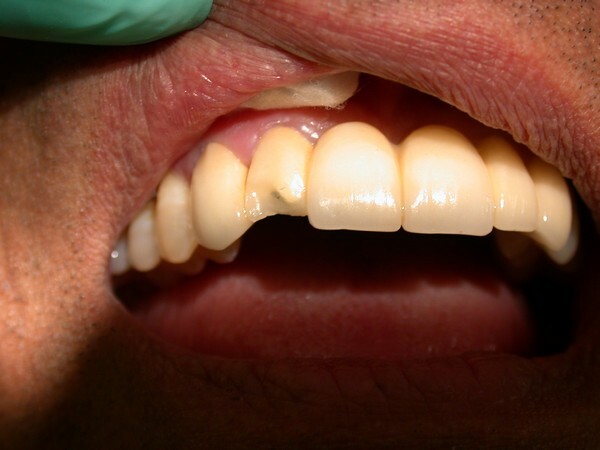 Patient had a previous crown that did not have a proper fit and the color did not match the natural teeth. 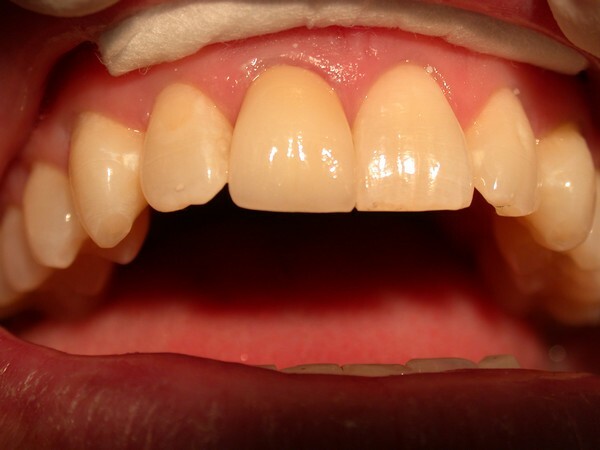 The front teeth had fractures and patient wanted a more permanent solution with better alignment and color. AFTER: Patient's smile restored with placement of three Zirconia crowns on his front teeth and the fourth tooth bonded with a composite filling and shaped to have a better alignment. The teeth are now better shaped and aligned with a proper fit which is essential in minimizing decay. 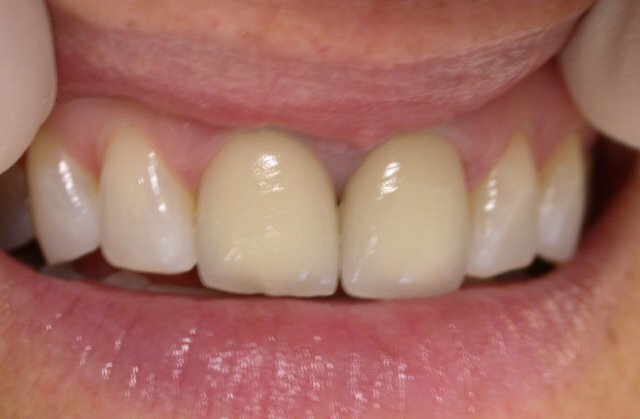 BEFORE: Patient had fractured the two anterior teeth in the upper arch and spent years trying to remedy the issue with fillings without success. Patient wanted a natural permanent solution. 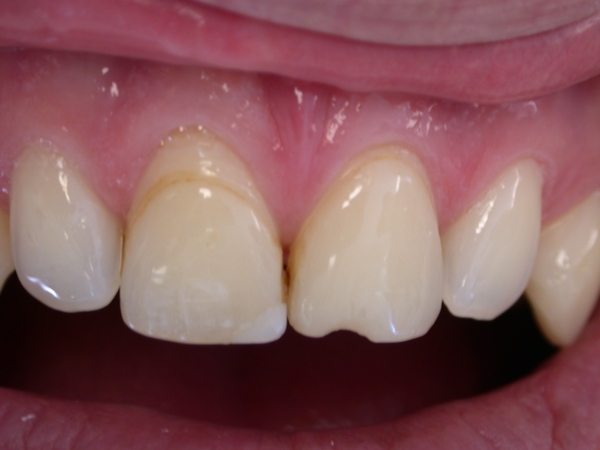 AFTER: Two Zirconia crowns were placed on the anterior teeth as a permanent solution for the ongoing fracture. The teeth are now better aligned and naturally match the existing teeth. The smile is dramatically enhanced and the patient has an easier time chewing and biting, not to mention smiling more!. 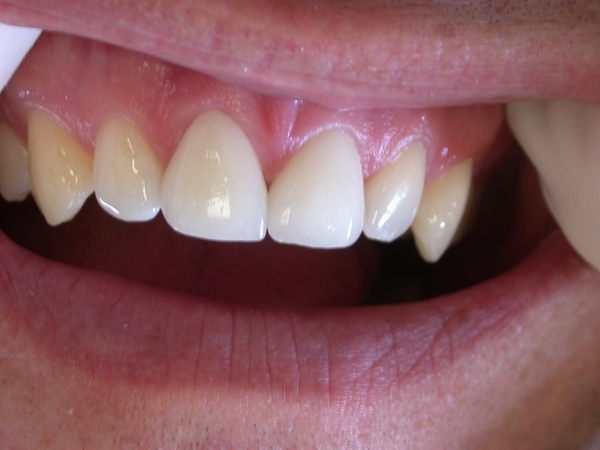 BEFORE: Patient had previous veneers on his upper teeth that did not have a natural look and continuously fell off. 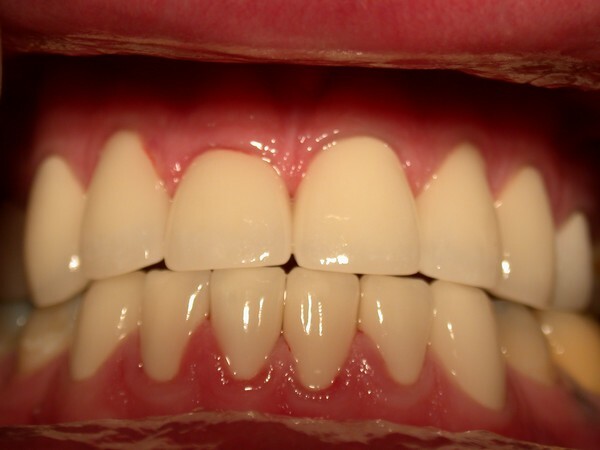 For a more permanent solution and better esthetics, he had his upper six teeth covered with Zirconia crowns. 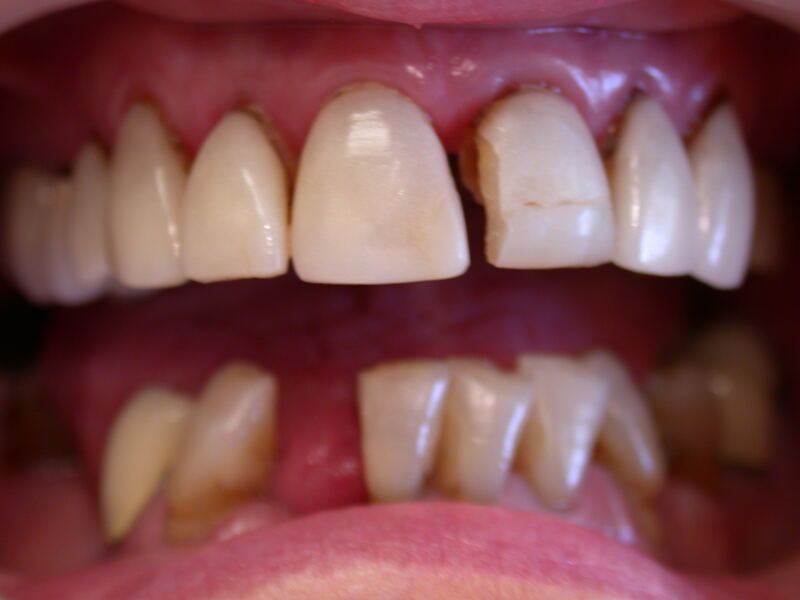 His lower teeth had extreme abrasion and needed restorations that both treated and enhanced his teeth. AFTER: The lower teeth were shaped and covered with Zirconia crowns that provided better shape, alignment, better aid in chewing and biting and a natural smile. BEFORE: Patient had a previous crown (Porcelain over metal)with bad margins (improper fit) causing decay to the tooth under the crown (the anchor). 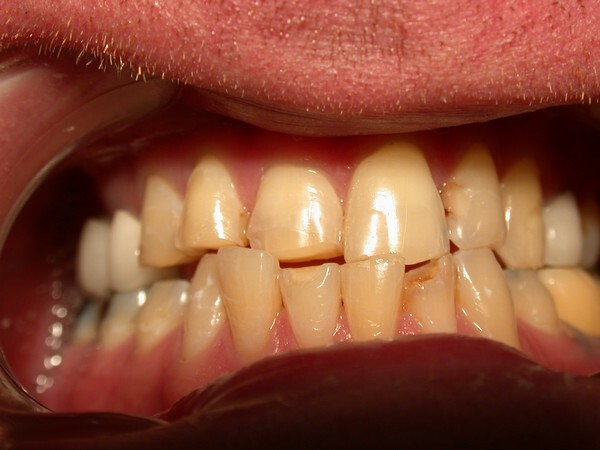 The crown was not properly aligned with the natural teeth and did not match the color or shape of the natural teeth. 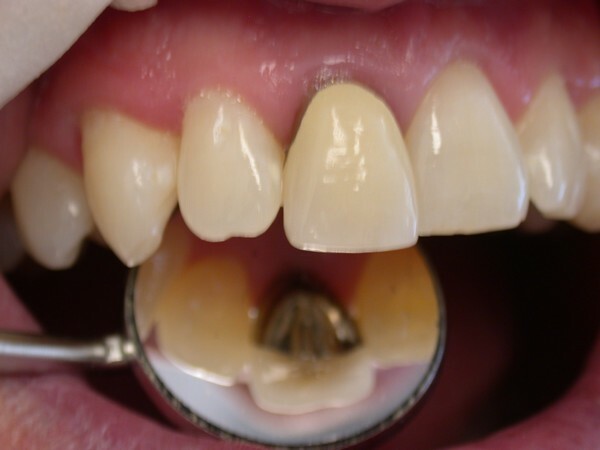 AFTER: The old crown was removed, the tooth underneath was treated and a new buildup (anchor) was created. The tooth was covered with a Zirconia crown and aligned properly to match the front tooth next to it. 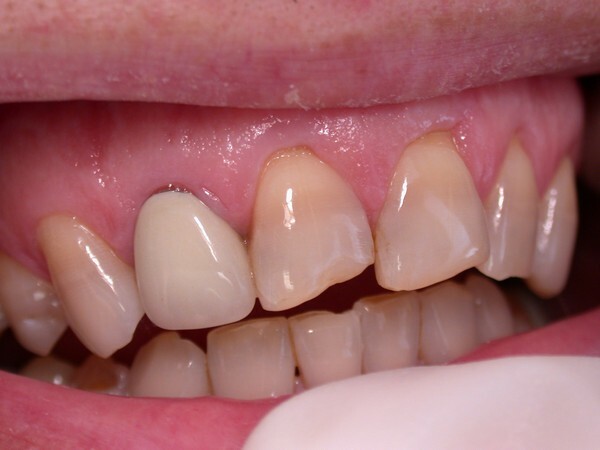 The color, the shape, the alignment provided this patient with a natural smile and a proper margin fit, eliminating the risk of decay and possibly future loss of this tooth. BEFORE: Patient had a four piece bridge (porcelain over metal) that fractured during chewing. The two front crowns on the bridge were quite large (bulky) in size, and not in harmony with the rest of the teeth. 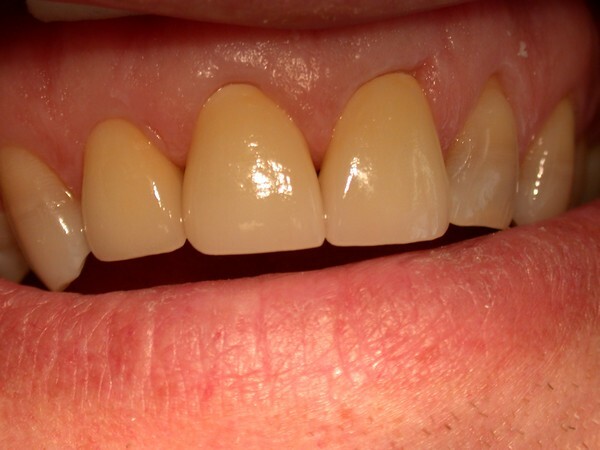 AFTER: A new full porcelain bridge was made allowing better spacing of the four teeth for a more natural, uniform smile, the new bridge, had a proper fit and provided a naturally enhanced smile, exactly what the patient was seeking.